Existing patients of County Dental at Fishkill can view their dental history online through our secure login patient portal. 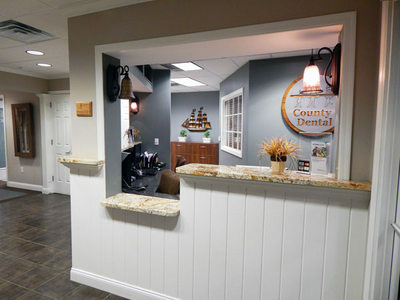 County Dental at Fishkill provides financing options to our dental patients to fit your needs. Learn more and apply for financing. Save time and complete your online Medical History Form after you have scheduled your dental appointment. We are pleased that you chose us to serve your dental needs. Our highly qualified dental professionals understand the importance of family and serving needs for all ages. We make sure your children have their needs met and learn about the importance of dental care at an early age. We offer a wide variety of cosmetic services including metal free dental crowns, dental implant solutions, laser dentistry and advanced endodontics. Metal free crowns provide a natural looking smile for many of our patients. 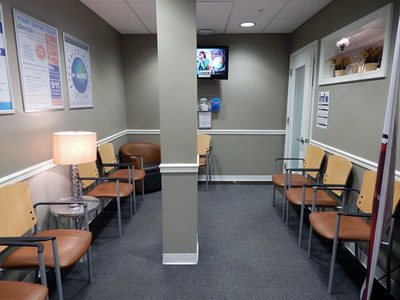 Our practice understands the unique needs of our patients. Onsite specialists are ready to provide teeth whitening, implants and much more. 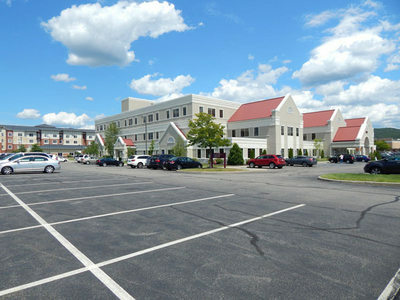 We listen to your needs and recommend speciality services to achieve your goal. We are a family-friendly orthodontic practice that believes in putting you at the forefront. Our commitment is to provide you with customized care that will straighten your teeth to create a stunning smile. Endodontic treatment and root canal therapy focuses on saving your natural teeth through different dental procedures involving the root of the teeth, also known as the pulp. A root canal is a dental procedure that removes a damaged nerve while saving the tooth. Our office frequently uses crowns to restore teeth that, while damaged, can function properly as long as their external surfaces are replaced. Made of tooth-colored porcelain or composite materials, dental crowns cover and protect cracked, chipped, broken, and badly discolored teeth and restore their shape, size, color, and functionality. Dental crowns can also be used to repair a tooth after root canal therapy or to anchor dental bridges. 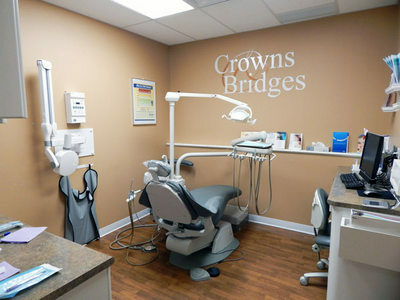 Dental crowns and bridges are durable and attractive solutions for missing or badly damaged teeth. The straightforward, noninvasive placement process for crowns and bridges can be completed in a short time. Dental implants are the most durable and natural-looking solution available for our patients who are missing one or more teeth. Unlike removable dentures and dental bridges, which can require daily maintenance and can impede a patient’s regular oral functions, dental implants are permanent and allow for natural cleaning, chewing, and speech. 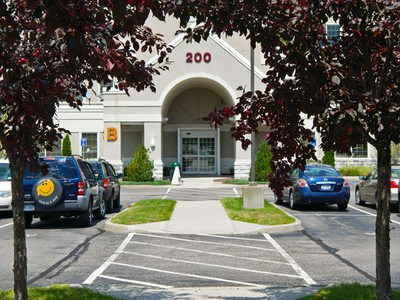 Routine dental exams are a big part of maintaining a healthy smile at our Fishkill dental office location. We offer comprehensive dental exams for the entire family as part of our preventative dentistry program for patients in the Fiskill and nearby neighborhoods. At each exam, we check for signs of tooth decay, gum disease, oral cancer, and other potential problems that require treatment. X-rays of your mouth may also be taken during your dental exam. 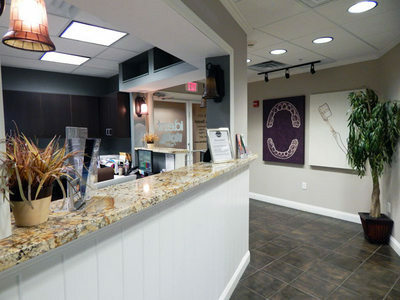 We provide both traditional x-rays and digital x-rays that immediately produce a digital image that can be viewed during your visit here in our Fishkill dental location on our computer screens in each operatory. WHY SHOULD YOU HAVE ROUTINE VISITS? Routine dental exams and X-rays are a big part of Preventive dentistry. Preventive dentistry is the area of dentistry that focuses on those procedures and life practices that help people to prevent the beginning or progression of oral disease. It includes at-home dental care, as well as scheduling routine dental care visits and education by our professional dental staff in our dental office. Routine dental exams are a big part of maintaining a healthy teeth and gums. During your initial examination, we will look for common warning signs of periodontal disease and evaluate the condition of the gums, noting any recession, bleeding, or bone loss. We will also evaluate your risk factors for gum disease, such as diabetes, smoking, and the use of certain medications. If you do exhibit signs of gum disease, we will create a customized treatment plan to reduce the infection and reverse the progression of the disease. Unlike other practices that refer you elsewhere for periodontal treatment, County Dental has an experienced periodontist on staff who is available at all of our New York locations. County Dental is proud to provide Invisalign as metal free alternative for straightening your smile. Invisalign straightens your teeth using a series of clear aligners made of smooth, comfortable and virtually invisible plastic that you wear over your teeth. Invisalign clear aligners to provide a metal free solution to gaps between your teeth, overbites, underbites, open bites, crowded teeth, and cross bites. Wearing the custom aligners will gradually shift your teeth into the proper positions within your jaw, with no metal brackets to attach and no wires to tighten. Approximately every two weeks you will be supplied with your new set of aligners that will gradually straighten your smile, without anyone knowing that you are wearing braces! Your Invisalign aligners are easily removable, and easy to care for. Removing your aligners allows you to able to continue to eat the foods you desire, without the worry of food getting stuck in your metal brackets. In addition, you can brush and floss your teeth normally. County Dental ensures that using Invisalign clear aligners will not compromise your routine oral hygiene maintenance. Gone are the days of trying to brush your teeth around metal wires and brackets. Our Orthodontist here at County Dental can have you fitted for your very own custom aligners, and help you take the first step to a spectacular smile.